If you have a large parcel that you want to sent to Germany from the UK or from anywhere in Europe we can help. Our oversized package transport company specializes in sending large parcels, boxes, furniture, crates to Germany and in shipping other bulky packages to Berlin, Hamburg, München, Köln, Frankfurt, Essen, oversize package Dortmund shipping, Stuttgart, Düsseldorf, Bremen and to all DE. We can also bring your packages back to the United Kingdom. Our strength is urgent, last minute and large parcel to Germany delivery service. We can collect boxes of any size and weight 24/7. We do early morning or late evening collections and deliveries. Same day parcel delivery from the UK to Germany is available to both private and business customers. How much to send parcels to Germany? Each delivery is priced individually. We need to know the size, weight, collection and delivery addresses. The time of the pick up as well as the time and date of the delivery have an impact on the delivery price. Parcels with flexible collection and delivery times / dates are usually much cheaper than sending a parcel to Germany with last minute collection and same day or next day delivery. We customize each quote. Contact us 24/7 and compare parcel to Germany costs. Our express UK to Germany parcel delivery is mean for clients looking to get the package collected and delivered ASAP. Contact us to find out how much is to send a parcel to Berlin, Hamburg, Essen, Munich and more. We also ship large packages from Germany to the UK. Our express parcel to Germany and to all Europe service is available 24/7. We can pick-up a parcel of any size and weight. We just need to know in advance what to expect. Oversize, bulky, heavy and large parcels to Germany are usually picked up with a removal van equipped with a tail lift and a pallet truck. Our cheap European parcel couriers offer early morning collections, late evening or night deliveries. Our London to Parcel delivery prices are very competitive. Contact us and we will offer you cheapest way to send a parcel to Germany from UK, Ireland, Spain, France, Belgium, Netherlands and from all Europe. Now, the concept of large parcel delivery services or express package shipping to Germany as the case may be is one that has helped in the delivery of goods and services of special needs for people. The major characteristics of the items shipped through the large parcel courier to Germany services are that they are larger in size, they need to be send very urgently and they are almost always very important documents or goods. With our express parcel to Germany service you will be able to get the best delivery rates, learn more about the transit time of parcels and many more. There is some information you need to know before you send a large parcel to Germany from London, Dublin, Glasgow, Leeds, Bristol, Sheffield, Birmingham, Edinburgh and from all the UK. This information includes the fact that many things come together to decide how much it will cost to send a single parcel or multiple parcels. You should strive to know these on time, so that you will not be embarrassed when you are charged based on them. The cheapest way to send a large parcel is economy service with flexible collection and delivery. It's cheaper to send multiple parcels too at the same time. Our urgent last minute parcel collection and delivery services are available 24/7. We offer large parcel to Berlin, Munich, Hamburg, Bonn, Köln, Frankfurt, Essen, Dortmund, Stuttgart shipping, Düsseldorf, Bremen etc.. The size of the parcel is flexible. It may be very heavy and very large as long as you have informed us in advance we will be prepared to collect it with no problems. Some parcels may be to big for our competitors and they will refuse sending it. We will collect heavy and bulky parcel at a very short notice. Of course large parcel to Germany costs more than sending a single box which is small and light. However before you decide on sending a large parcel with us we will tell you exactly how much it will cost. If you contact us we can immediately tell you average price to send a parcel to Germany from Scotland, Ireland, Wales, England and from anywhere in Europe. We are committed to the goal of making sure your goods and parcel are sent with utmost care. The fact remains that your parcel will be handled by many hands as they pass through different facilities in different locations before they get to the final destination. But this is not to say that we will allow your parcel to be tampered with in this process. Now, for you to insure that your parcel are in the best position to arrive safely and securely to your final destination in the best possible condition, you have to follow these parcel packing advice and packaging tips from our professionals. Now, some of the things you should know are the packaging options because if you under-fill the boxes, the boxes will collapse, while the overloaded ones may burst. 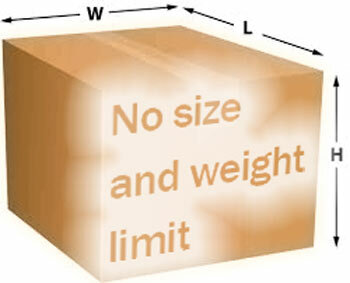 So, what you have to do is to not exceed the weight estimation for the particular shipping container you are using, while at the same time, you should not under fill. You can also book an express same day parcel to Germany delivery. We would provide you with a dedicated man and van to collect your packages within a couple of hours and deliver them as soon as possible. Our driver would drive with no break to meet any deadline. We can also send a parcel to Germany by air. Our parcel courier would pick it up, take to the airport. Our German parcel courier would collect it from the airport and take to your client. These are the standard packing items for your materials and packages. This is specifically because they come in different sizes and shapes, and also because of the materials used in making them and the accessories that can be used to keep them in place. The wooden type is used in the shipment of the heavier parcels. This is mostly used for the parcels. The best envelopes here are the cardboard envelopes and they are used for the shipment of the lightweight documents and parcels. However, when you want to ship items like discs, tapes, keys, and other smaller electronic parts or devices, you have to make use of the cushioned and padded envelopes that are also protected with bubble wraps. There are also the water proof and antistatic types of envelopes. They will be offered to you if you need them. 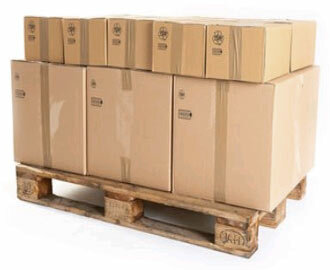 All these moving supplies are readily available for the shipment of your parcel once you contact us. However, one thing you must adhere to when it comes to the use of envelopes is that you must not use the envelopes that are made of fabrics. We offer cheap parcel to Germany transport including, Hannover, Duisburg, Greenberg, Leipzig, Dresden, Bochum, Wuppertal, Bielefeld. If you have quite a few parcels to be sent you can palletize them. It's the cheapest way of sending oversized parcel to Germany from UK. Here you can find more info about pallet delivery. When you are sending your oversized boxes or crates through any UK or German parcel courier at last minute, you will be offered the flyer bags from the parcel delivery firm. In most cases, it comes in two different sizes. The first size is the standard flyer. This is the flyer used in the shipment of flat documents and all the small binders that come with a maximum weight of about 2 kg. Anything that is bigger than 2kg should not be shipped or packed with this flyer. The next is the large flyer, which is the ideal flyer for flat documents, small boxes and ring binders, all within the maximum weight range of 3 kg. Now, one thing you should note is that the flyers are only and must be used whenever the shipment being made is lesser than the normal standard shipping panel or way-bill of industry standard. The tubes are used for sending rolled items. In this case, the triangular tubes are recommended all the time above the round tubes. This is because the round tubes will make the items difficult to handle. They will also have a difficult time passing through the sorting equipment and facilities used by most of the parcel delivery firms. So, you are advised on time to roll your papers with the triangular cylinders and not the round ones. The triangular types will be needed whenever you want to ship paper works like maps, blueprints and other flexible paper documents. We send bulky parcels to Germany at cheap prices with many available options. Do you wonder if it is possible to collect a package on the same day you make the booking and deliver to DE next day. Yes of course it is feasible. Our UK to Germany overnight parcel delivery services can be express and economy. You tell us when you need your packages to be collected and delivered and we will price it. While we reiterate our commitment in making sure your oversized packages are handled and delivered safely and on time, you have to do a lot to help us achieve this. You must insure that you don’t package with damaged containers and boxes or even envelopes. Make sure you give the appropriate amount of cushioning whenever you package. The chosen packaging must be considered according to its strength and durability, so that you will not endanger your parcel. When you are reusing a box or envelope, you should insure to remove all the labels that are pasted on it. The same thing is applicable to all the stickers previously used on the envelope or box. Now, the decorative wrappings that gifts come with are never suitable and protective or even appropriate enough for shipping. Because of this, you have to repack all your gifts. When packing, you have to do this with utmost care, so as to protect your items. We also offer removals to Berlin. This is because many of the items to be send are normally damage due to a bad packing. Again, to avoid loose contents inside of the extra large parcel to Germany, you have to use the best and most sturdy cushioning materials to insure that items inside will not shift or shake. In the same vein, the fragile items should be given special cushioning on all sides till the item is no longer felt upon touching the box from outside. The flat items must have dividers for protection, while data and media disks should get protection with the protective bags. There must be proper edge protection on the sides and edges of the items in your parcel. On the other angle, whenever the parcel or item you are shipping is very valuable, then you should use a double layer of the heavy duty cardboard sheet or paper. Now, you must know that the fragile and side-up labels are not respected. So, you need to pack your item in such a way that harm cannot be done to it by external pressure and that the item inside the package will not be harmed when the box is tossed and thrown. When you are ready, you should go ahead and get the corners of your parcel protected, so that it will not splinter, and also to keep the box dry and wait for our courier network representative that will come and pick it up. If you are using the box to ship your own parcel to Germany, you have to maintain the traditional padding between the box and the item. This can be at the level of 5cm. fill this space with the cushioning materials like crumpled newspaper, Styrofoam chips, bubble wrap and packing peanuts. Now, when you want to ship items that can be stacked, you must use dividers to pack these for the courier. The objects that can serve as good dividers are craft paper, foam sheets or chipboard and corrugated cardboard sheets. When you want to use our express parcel delivery to Germany to transport some liquids, you have to do this the right way. You must insure that the liquids are stored in containers that are leak-proof. These containers must be protected with very strong, lightweight internal materials for cushioning. This can be the Styrofoam or any of them, and the container must be placed in a sealed plastic bag. When you are packing greasy semi liquids or those items that have strong smell, you should seal them with adhesive tapes and wrap them in papers that are grease resistant. However, in terms of the flowers and the fine grains, you should place them in very strong plastic bags. This bag must be sealed securely and placed in the rigid fibreboard type of box. For those materials that are non-soluble, you must use the arrow up stickers clearly to indicate the area that must be up. This may not be followed, but you should still do it. Whenever you are packaging your cheap parcel to Germany for shipment, you must insure that the shipper and receiver’s addresses are provided clearly on the labels and stickers. You should also place extra labels in the box or parcel. While you must seal all your parcels before you hand them over to the courier firm, there is also the possibility of the customs authorities opening these for inspection. Things like masking tapes, string, rope and wrapping papers must not be used for the sealing of the parcel. When you are using a stretch firm, you must also endeavour not to use black films. We offer large parcel to Bonn, Mannheim, Karlsruhe, Gelsenkirchen, Wiesbaden, Münster, Mönchengladbach, Chemnitz and Augsburg. 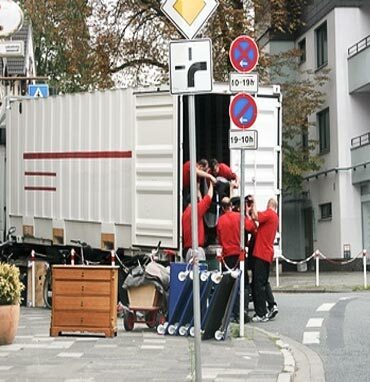 Check here if you need removals to Hamburg. The ideal tapes for the sealing of your parcel to Germany from London, Liverpool, Derby, Nottingham, Coventry, Plymouth, Northampton, Bedford and from all UK must be Fibber-reinforced paper, Vinyl adhesive tape or the Polypropylene tape. The use of wrapping paper is only recommended in the case of wrapping of boxes and non-contained objects like textile items, and to make sure that dust does not stick to the oil based materials. Now, when you are making use of the films like the stretch wraps and heated shrink wraps that may be used in making pallets and multiple boxes strong, insure that you do not paste the labels on these films, but rather on the body of the boxes. Simply contact us to compare UK to Germany parcel delivery companies. We will tell you how much is to send a large parcel to Germany from Ireland, UK, France, Belgium, Holland, Denmark, Austria, Sweden and from all Europe. There are lots of things you need to know about the charges you will incur when you ship your item through our courier or parcel services. They include fuel surcharges, shipping dangerous goods, other surcharges, shipping of lithium batteries and way-bills. We will offer you the best courier delivery to all places, at all times and on time too. You should be aware of the fact that whenever there are evident changes in the cost of fuel, there will be a direct bearing on what you will be charged for the delivery of your extra large parcel to Germany. This is because fluctuations in the price or cost of fuel will immediately tell on the transport industry. So, in most cases, the fuel surcharge may rise, sometimes it may fall and on other occasions it may be removed entirely for you. Once you have received a free quote from us our urgent large parcel to Germany price will stay valid for 30 days. When it comes to the fuel surcharge for those international time-definite and the day definite services, then you will be looking at a monthly average spot price for the nation. This surcharge is always applicable to transportation charges that are demanded on all services rendered to you, and they also obtain on these extra services mentioned below. You should know that these charges can be changed with or without any prior notice or information, and in this case, you may have to inquire about this before you hire. Cheap parcel to Germany prices are available for long-term contracts. Now, we have the rightful experience in sending parcels to Germany containing approved dangerous goods. Before you bring any goods for shipment, you have to check well, so as to confirm that your goods are complaint to these rules. However, you may need to speak to the dangerous goods in parcels expert so as to know the regulations applicable in your own area. Now, the fact is that there are lots of regulations from the appropriate body as it concerns the transportation of parcels holding lithium batteries as separate goods. This means that many of the goods that are operated or powered by lithium batteries are affected by this new regulation. This is irrespective of whether the aforementioned are rechargeable or not. a tip of the rule says that these regulations will apply on the lithium stuff when the lithium battery is packed separately and shipped as an individual item, when they are on a separate package or packing, but are shipped with other equipment in the same box and when they are shipped in the same parcel with an equipment they are installed in. These regulations are owing to some aviation industry safety concerns because these batteries can be used for dangerous purposes. You must declare all you want to ship correctly and inform the courier professionals on time so as to get the full regulations on these. Make sure a UK or German parcel delivery firm are obliged to obey all the regulations from the International Air Transport Association (IATA). Find out how much is Express parcel courier to Germany from UK by contacting our company. We also offer London to Essen removals. When you want us to deliver your parcel to Germany or to a worldwide destination, we will also help you in preparing all the custom paper and documents. We will help you to understand the things needed from you and all the information you need. You can prepare the paperwork online in our website by selecting the invoice option that suits your parcel. We will guide you through a step by step method of doing this to make it easy for you. All your shipments that need customs duties should come with an invoice and you can pick the best invoice and fill the necessary forms with our help, after which you can print your invoice. Wherever you are shipping the parcel to, we have local custom experts that will help you in understanding the regulations in the nation. This entails easy and quick clearance of your goods and parcels. Now, if you are doing any express parcel to Germany from UK overnight delivery, you should be informed that a way-bill must be completed. This will insure that your goods are secure, safe and on time too. You have to get to our site to see the way to complete a way-bill easily. You will need the way-bill because it will indicate the services, you need, the destination of the parcel delivery and how you will make payments. It will also highlight the terms and conditions of the services offered to you, coupled with the proof of assignment and the unique tracking number. The simple thing is that with it, customs can know the thing that is really in your shipment and this enhances quick and easy clearance. We can collect your parcel early in the morning and delivery even the same day late in the evening or at night. We offer cheap fast parcel to Germany delivery, collections at a very short notice and next day parcel delivery. If you need to send a parcel to Germany quickly we will be happy to tell you how much it will cost and how fast it can be done. We also offer removals to Munich. Professional furniture and boxes removals from all UK. Sea shipping and air freight from the UK at affordable rates. Moving tips and advice for Britons relocating to Germany from the UK. There are many reasons why one may think of removals to Germany - low rate of unemployment, good paid jobs, low costs of living, affordable housing, beautiful landscapes, friendly people.